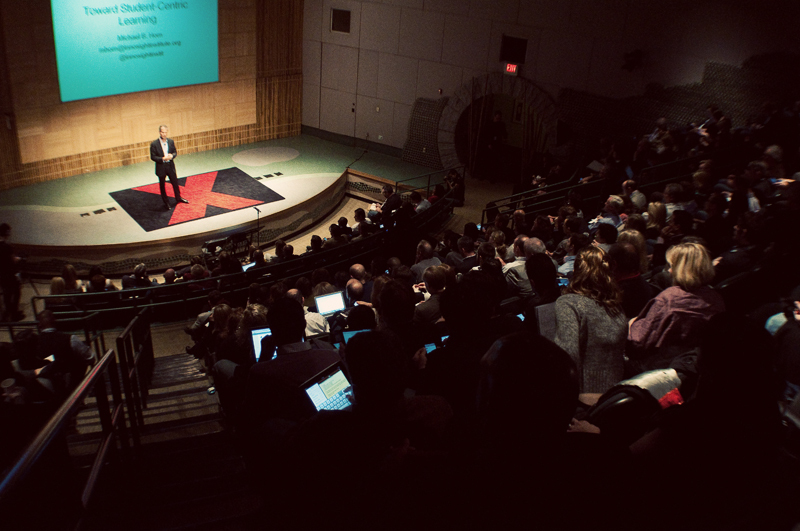 In a world when ideas worth spreading can seem far and few between, TEDxPeachtree was a flood of new ideas and breakthroughs. With a worldwide audience and a conference hashtag #tedxpt that trended nationally on Twitter, TEDxPeachtree 2011 was a success.Throughout the eight-hour program, speaker after speaker took to the stage to give the 18-minute talk of their lives on breakthroughs in their respective fields. Whether it was education, autism research, disaster preparedness, mind control research or innovative thinking, the talks entertained, provoked, stimulated and even moved attendees to tears. This year, poetry and dance were added the performance line up. In addition to the virtuoso performances by the Atlanta Music Project Teaching Artists, who received a standing ovation, the audience was treated to the world premiere of a visually provocative interpretive dance performance by the internationally acclaimed CORE Performance Company. The day’s ebullient mood was captured perfectly by up and coming poet Daniel Weingarten’s poem at the end of the day. The poem was composed during the course of the day. For the third year in a row, the event was live streamed free over the Internet. This year, it not only attracted U.S.-based groups hailing from Austin, Texas and Long Beach, Calif., but also those from as far away as Europe. Students from the University of Maastricht in the Netherlands organized a ‘viewing party’ on campus and interacted with conference attendees via Twitter throughout the day! First time attendee Tricia Molloy stated, "For me, TedxPeachtree 2011 reminded me to respect and pursue my wildest, highest dreams. There’s a reason we are dreaming them and it’s up to us to make them a reality." “Our mission has always been to stay true to the ideals of bringing together thinkers and doers who can stretch the minds of our attendees both virtual and in person,” noted Al Meyers, TEDxPeachtree founder and organizer. “This year simply exceeded all expectations, and not just with the eclectic mix of topics and caliber of each talk but also the interplay of musical, dance and poetry recitation performances and the rich use of social channels such as live Internet radio, Twitter, live stream and a mobile app to engage audiences onsite and beyond,” he added.